The race season in the northeast is basically over. 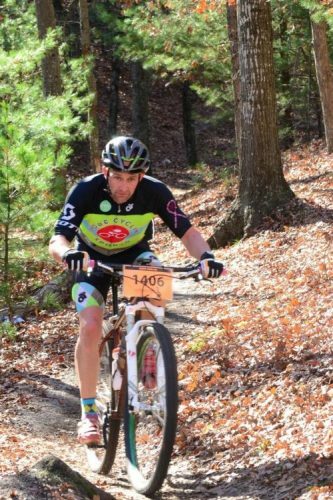 For me, the season started back in March with spring bike races and ended with a 6-hour mountain bike race the week before Thanksgiving. It’s been a long season. It’s now that time of year to relax and reflect on how it all went. There are some athletes out there that have a warm destination race lined up for the off season, but for most of us athletes, the race season is over until spring. Now that the pressure is off, it’s a great time to look at your strengths and weaknesses and work on them. We all had some hiccups along the way. Look at those as the building blocks for the next season…. and perhaps consider how adding mountain biking to the off season might help. I started riding a mountain bike long before I picked up a road bike or a TT bike. I did some mountain bike races when I was in school, but never took it seriously. I have always enjoyed riding the MTB but get away from it in the su mmer months because of the training and racing. In the off season when I get back on the MTB, it is such a great time. Being on the trails and flying through the turns is the best feeling, it’s like being a kid again. The group of guys I ride with are all talented riders who go out to have fun and push each other. While the rides are fun and the socializing is a highlight, the jostling for position and fight to be the king of the trail actually translates into improving my riding skills on the bike – and it can help you too! One thing with mountain biking is it will build your bike handling skills. On the trails, you can come across roots, rocks, tree branches – just about anything that is in the woods. At times on the MTB you’ll be riding at slower speeds and you will have to maintain your balance to get around these obstacles. Or you’ll be riding at increased speed and will need to get over these obstacles with good bike handling skills. Being able to balance the bike or quickly change direction will not only get you over these trail hurdles but the skills you hone will translate into critical skills regardless of the type of biking you prefer. Something I’ve worked on quite a bit is the issue of space, safety and comfort when cycling. One thing I hear from people at races throughout the season is how they are not comfortable around others on the bike. As triathletes, we ride alone during races and must give the other riders space. But in smaller, crowded races the space can be tight and the course less wide. So, you’ll have faster riders passing slower riders and most times the slower riders gets spooked. In general, the MTB trails are narrow—lots of trees around and rough terrain. With practice on the mountain bike, you will develop much better handling skills and confidence that will translate to feeling more confident in races with narrow space and faster riders passing you. As you get spend more time on the mountain bike and racing, you will begin to feel more comfortable on the race course and riding with others. Mountain biking is a whole body work out. Not only are the legs moving but you’ll also be using the rest of your body to ride. You’ll be out of the saddle to get up climbs. MTB helps build leg strength by powering up the hill; also there are times when you are riding up a technical hill with lots of roots and rocks. Upper body will get a nice workout if you ride rocky terrain as you’ll be moving around to make slight changes in the bikes direction. Your first few rides the shoulders will be sore as you are engaging shoulders and arms to help with balance and to maneuver the bike without falling over. Mountain biking is not only a total body workout, it is very good for building core strength. You are using the whole body while mtb. Core strength is essential for triathlon. It acts as a stabilizer from where power is generated. Core helps with staying streamlined in water for swim, helps with power on bike and also staying properly positioned and comfortable on bike, and helps be more efficient on run. Not only are you using legs to power up hill, but you are building core strength by trying to stay balanced on your bike. Because now you are riding slow uphill you need balance and power to get up hill and negotiate sharp twists and turns. We all have been there in a triathlon or long distance cycling and you just start to space out. Whether you’re loss in concentration or the monotony of the motion starts to numb you, your focus can become impaired and the results can be serious, sadly even fatal. In mountain biking you must be awake and alert the whole time. Those trees don’t move! The trail is changing directions and trail conditions are changing. The trail conditions can change from ride to ride, minute to minute. The intensity trails bring to the riding experience means you need to be on your toes at all times. Also, some trails aren’t one way – you’ll have riders coming from the other direction at any given time, under any condition, including blind turns. This level of mental vigilance really sharpens and fine tunes your metal acuity on the bike. With so many factors to be on the lookout for, I have found mountain biking to be one of my best mental training tools out there. Mountain biking is a great way to build power on the bike. There are times when you will be cruising along then you’ll have a hill and have to jump out of the saddle and power up the hills, or maybe you’re on a trail with a lot of turns and you’ll be pedaling hard out of each of them – some of the obstacles in the trail will take more power to get over than others. The changing conditions of the trail make continually changing power demands on your body. Additionally, you can also get a great endurance workout on the mountain bike as you increase the length of your rides and push your level of intensity. On those days in the winter when you want to get a good long ride, and the cold wind is blowing, but just can’t bear the trainer anymore – jumping on the MTB and heading in to the woods is the ticket. The upside is usually the winds aren’t blowing as much in the woods and it tends to be a bit warmer. Some of my local riding spots are close to home. • Allaire State Park in Wall/Howell NJ. • Huber Wood in Atlantic Highlands NJ. It’s great to get off the roads and into the woods. There are no cars to worry about. No traffic lights to slow you down. The change of scenery is a mental switch-up. It changes every day. You never know what is out there to see. You can ride to places the TT bike can’t. 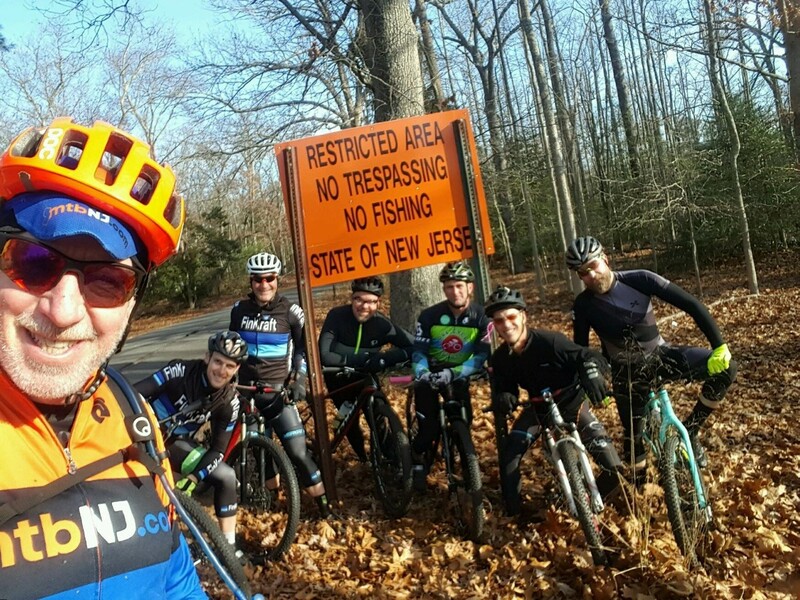 There are many great spots all over the Garden State and around the country to go mountain biking. Chances are you live close enough to you to give it a try. The best way to find trails is to ask a local bike shop or some local bikers. 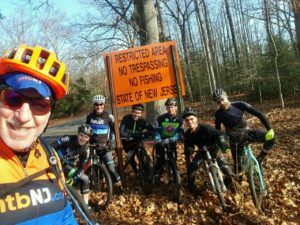 For those in New Jersey, MTBNJ.com has a great forum to find out what is going on in the MTB community. I know that you are thinking you need another expensive bike try out mountain biking. That is wrong. Ask around and you’ll find someone willing to lend you a bike to give it a try. When you’re ready to make the jump in to a bike, Shore Cycling Sports in Brick NJ, who has supported me all year, has some great starter mountain bikes to get you on the trails. You just need to give it a try. You’ll be so stoked you did! For me switching up what bikes I ride during the year makes the season so much more fun. 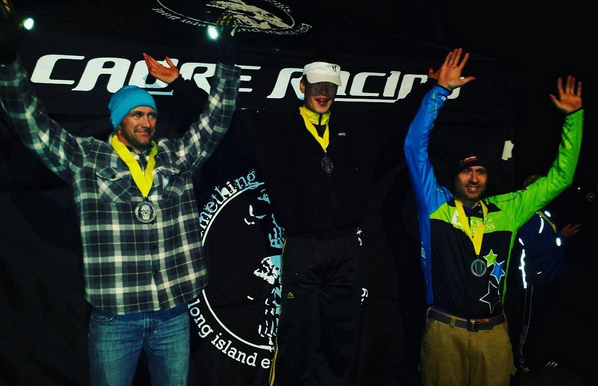 Riding the MTB and CX bike in the winter months pays off for the tri and road season. I use both for lots of base miles in the winter. Its helps me with the handling skills as each bike handles a different way. You learn a lot from riding different bikes. This for me keeps the riding fun and interesting all year. Whatever type cycling, whatever season, you can’t forget your greatest asset – your body. It’s important that as the miles go by, the body is kept fueled and tooled up just like the bike. I have a personal favorite with XRCEL Athlete Fuel. It’s easy to use on the bike, it lasts longer than any other fuel out there so I’m not stopping or refueling all of the time, and it tastes pretty good without nasty side effects which are never fun on the bike. I use it all season for consistent results. My season started in March on the road bike and I just finished up the race season on the mountain bike. 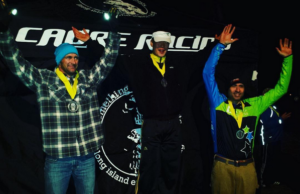 I did a race in NY called the “6 hours of Cathedral Pines”. It’s a mass start MTB race with 300 racers. The goal is to do as a many 10 mile loops in 6 hours as you can. The race is self-supported. There are no aid stations! You have to bring your own nutrition and whatever you’ll n eed. I was stoked to have XRCEL in my bag. XRCEL has gotten me through this race the last two years with no GI issues and no cramping. This year I was able to do 8 laps/80 miles in 6 hours and 32 mins. This got me 2nd place in the expert class. A great way to push hard and end the season on a high. If you have any questions about racing and/or mountain biking, feel free to connect with me on facebook (@brian.norling) or instagram (@brian1974).